On World Tiger Day, it's time to show your stripes for India's national animal. It's time to show your stripes for India's national animal on World Tiger Day. We give you a round-up of five books about this magnificent animal that should be part of your children's bookshelves. The ten-year-old Tara is a gadget geek, she even thinks her Papa's birthday cake should be shaped like his BlackBerry phone. Which is why when her banker-turned-photographer father decides to take her to Ranibagh, a tiger reserve in the Himalayan foothills for the summer, she's horrified. After all, nothing ever happens there, does it? But then Tara lands splat in the middle of an adventure - who would have thought that the forest was not only home to the beautiful tiger, but also to an international gang of ruthless poachers? 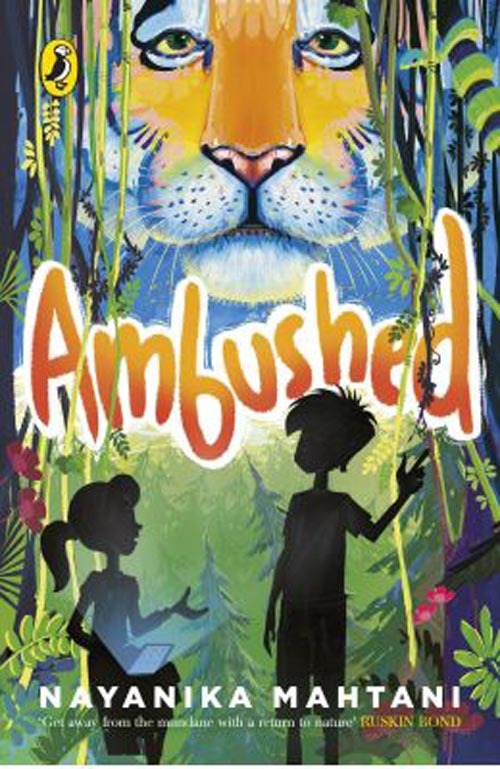 Satya, a tribal boy, enlists Tara's help to literally save the skin of a tigress and her cubs.Ambushed is a fast-paced read that puts the spotlight firmly on conservation. Nayanika Mahtani's debut novel is peppered with trivia, such as tigers are hard to spot and that some hundred years ago, there were over one lakh tigers in the world. While doing so, she also touches upon themes of social inequalities and the politics of conservation and poaching. For any child who has visited Ranthambore Tiger Reserve, Deepak Dalal's Ranthambore Adventures is sure to transport them straight back into the Rajasthan forest. Aditya is planning to join his friend Vikram in Ranthambore, when he stumbles upon the diary of a tiger poacher. Aditya is grabbed by the poachers and his friend Aarti follows their trail, all the way to Ranthambore. At the same time, readers are invited into the world of Genghis, a magnificent tiger and his family. 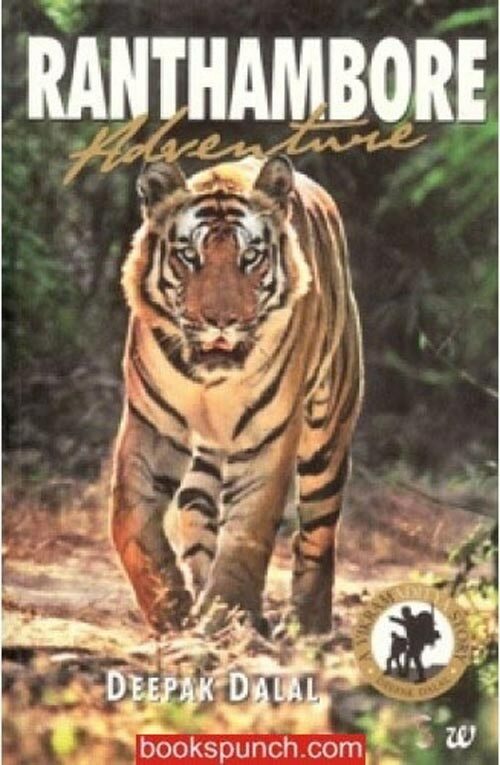 An action-packed adventure, Deepak Dalal's story is an informative read about tigers and their home, the forest. It's also a story of friendship and courage, harking back to timeless books such as Enid Blyton's Famous Five series. Although Ranthambore Adventures was first published in 1998, its message about tiger and forest conservation remains as evocative as ever. One of the best explanation of a poacher comes from Raat-ki-Rani, a tigress who lives in Sher-Kila National Park. She explains to her cubs that "A poacher is one of those two-legged hairless cowards who will kill you if he can. He might use any revolting method he can think of - poison, traps or guns". Tragically, the brave tigress dies at the hands of poacher Khoon-Pyaasa, leaving an unwilling boss tiger Rana Shaan-Bahadur to take care of his four cubs, Hasti, Masti, Phasti and Zafraan. But like many forest, this one too is brimming with gossiping animals, a vulture squad called Diclo-Fenac, a photographer from the National Geographic, and an underground group of porcupine terrorists who have it in for tigers. Ranjit Lal offers a hilarious wild rumpus, where readers learn about the fascinating animals, while sparking concern for the forests and its denizens. 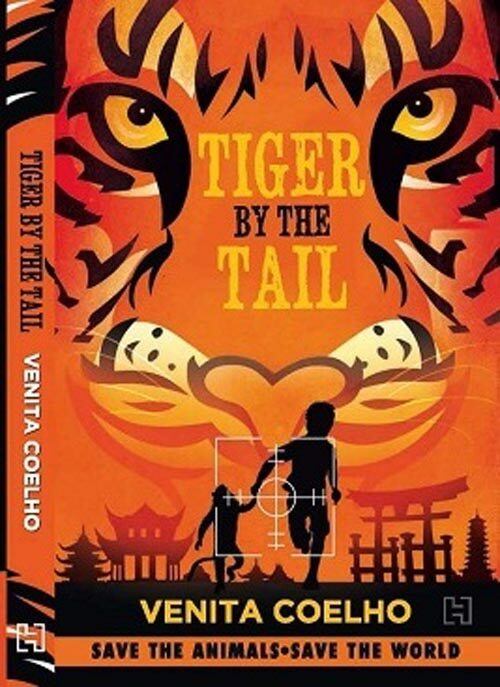 Venita Coelho's book comes with a tagline, "Save the Animals, Save the World" - which happens to be the motto of the Animal Intelligence Agency (AIA). The back of the book explains that the AIA is "a multi-species non-governmental agency. Specially trained animal and human agents work undercover to save animals and save the world. Some of them have the licence to kill". One of the agents with a licence to kill is Agent No 002 aka Bagha, a member of the Panthera tigris species. The tiger is 250kgs of sheer intelligence and muscle. He's really what one could call a cool cat. 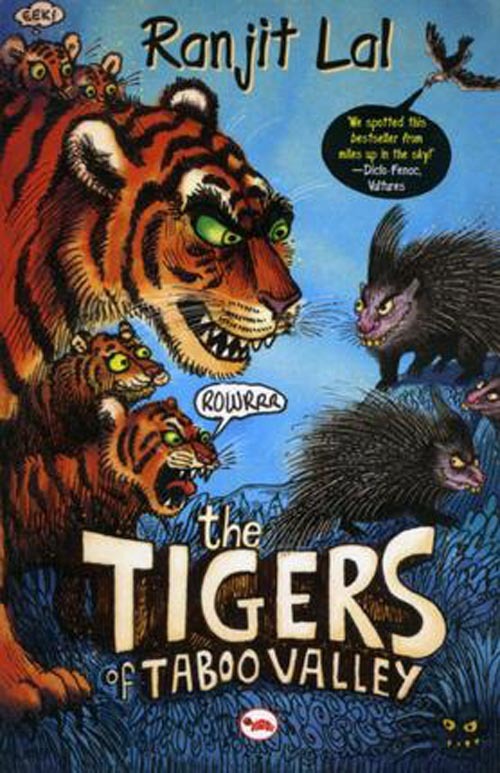 Bagha and Rana, a boy who can communicate with animals because he can JungleSpeak, embark on a mission to investigate the disappearance of tigers from wildlife reserves across South Asia. Tiger by the Tail is a wonderful read, interspersed with pages of trivia and facts about tigers. 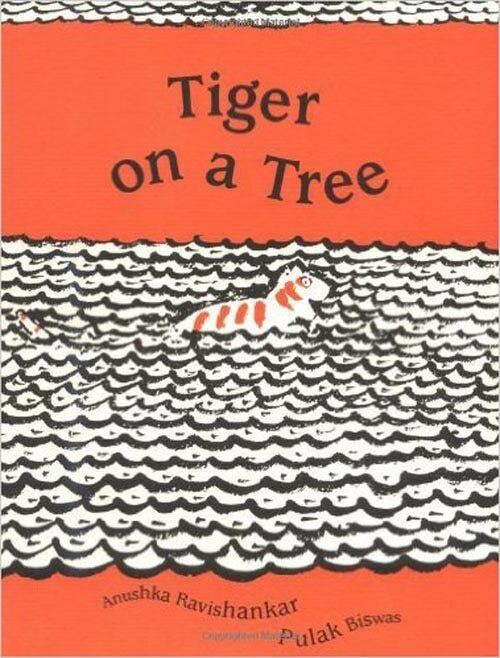 Published in 1997, Tiger on a Tree is one of the most iconic books about the big cat. Resplendent in orange and black, the picture book has been illustrated by Pulak Biswas. Anushka Ravishankar tells the story of a scaredy-cat tiger who gets stuck on a tree. As the villagers "Get him! Net Him! Tie Him Tight!" they need to decide what to do with this tiger. Written in verse form, Ravishankar talks about the man-animal conflict, courage, and kindness, in a simple yet beautiful way. Biswas' illustrations carry forward the tale, bringing the forests, the river and the village alive with his brush.